Your turf will be palletised ready for delivery, orders of 600 square metres or over can request a quote to include forklift off load by contacting us. 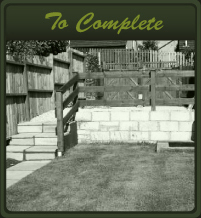 As with most palletised goods turf is delivered as a kerbside drop nearest the site as possible. 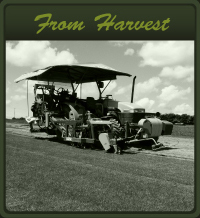 Turf is cut to order the day before delivery guaranteed. 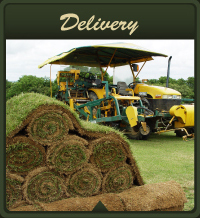 If the weather is warm we strongly recommend that the turf is ordered to arrive on the day it will be laid. If possible provide shade and shelter for the turf and do not water whilst it is rolled up as this will accelerate decomposition. If the turf has turned to a slight yellowish colour this is a natural process and the turf will green up again once laid and watered. Phone call prior delivery can be anytime between 8am and 5.30pm, it is not possible for us to give exact delivery times, but we will endeavour to meet all deadline requests. 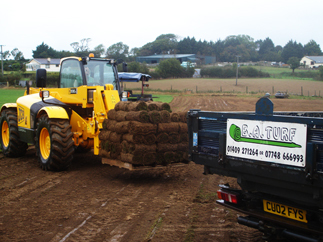 Turf order freshly harvested for delivery.